PERFECT SPOT IN FOREST KNOLL! This condo has big beautiful windows facing directly towards Mount Tecumseh and Osceola. The floorplan is ideal with an open concept dining area, kitchen and living room all connected with dramatic cathedral ceilings and plenty of natural light. Built in 2003...all of the updates are done with a beautiful kitchen, black granite counter-tops, updated bathrooms and more. 2 master suites with their own attached bathrooms and a 3rd bedroom set up as a bunk room give everyone plenty of room and privacy. Heated with a traditional forced hot water heating system, the utility costs are extremely low. 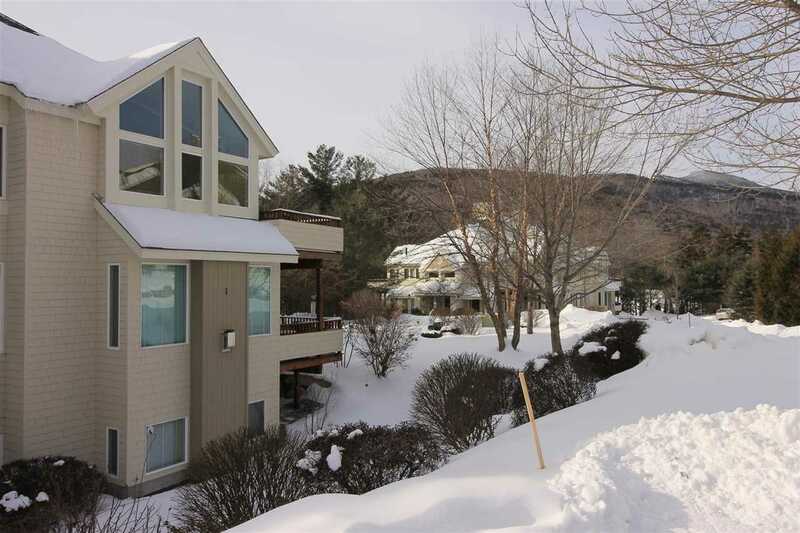 Forest Knoll is in a great location with all of Waterville Valley amenities just a short walk away. Shuttle bus stop at the start of the development is perfect for in-resort transportation. Comes with a transferable membership to the White Mt. Athletic Club for a $750 transfer fee. This is a great condo!